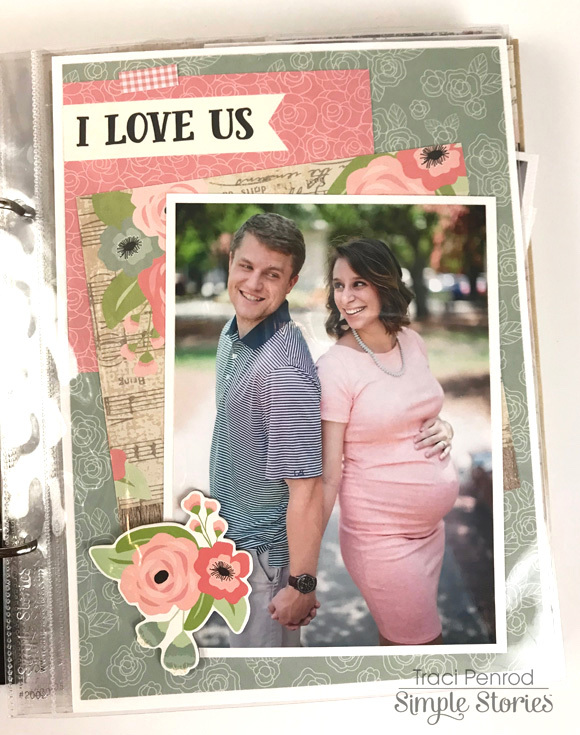 As papercrafters, sometimes a paper collection comes along that makes you immediately think of a set of photos, an event, or a memory. 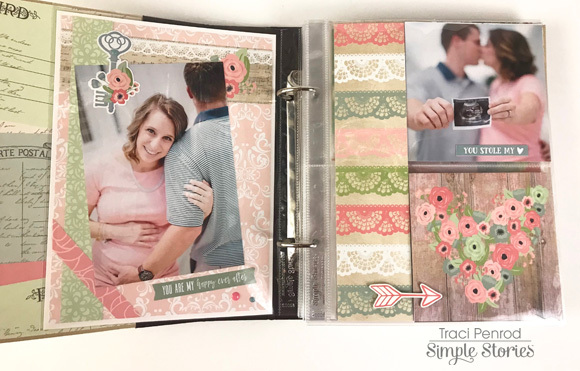 When I saw the Romance collection, I knew some beautiful pictures of my son and daughter-in-law would work perfectly in an album. 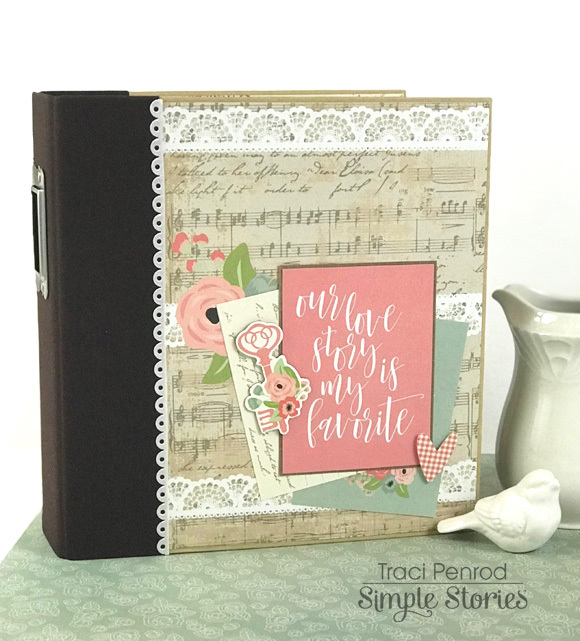 I love the vintage, romantic feel of this paper line. 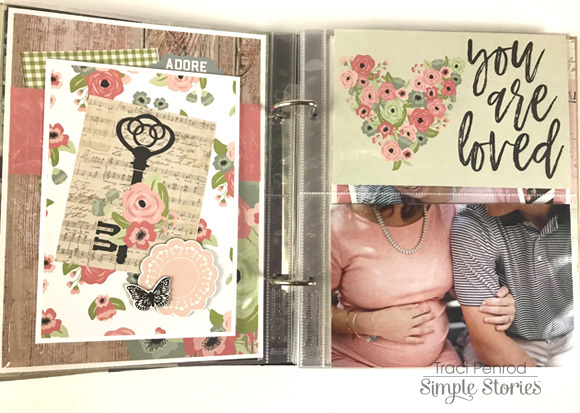 The cover was easy to embellish by layering several 3x4 cards. These gorgeous photos were taken by Hillary Leah Photography here in Georgia, and I just love that the pictures worked so well with the beautiful blues and pinks in Romance. I used the 12x12 collection kit, along with the chipboard pieces and 4x6 stickers. I hope I've inspired you to use Romance for lots of different projects, not just Valentine's Day. It is so pretty for weddings, date nights, everyday family photos, or even baby pictures! Enjoy!